Infrared Road Repair (IRR) is a popular technique for asphalt repair, but how does it work? IRR is a process that uses infrared technology to repair damaged asphalt by using infrared technology to absorb heat, or radiation, into the damaged material. 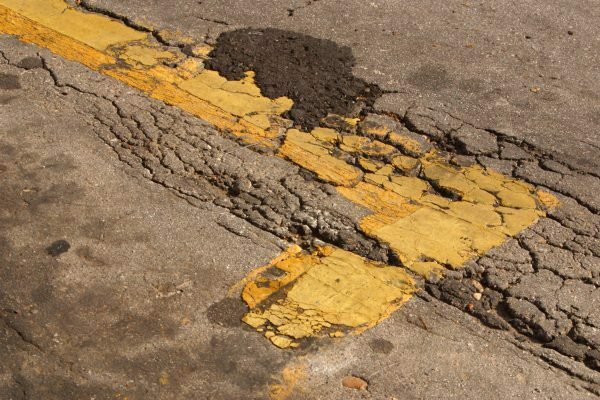 The process consists of heating and removing the damaged asphalt before patching the damaged area to mold seamlessly with undamaged areas. The patch is secured using either new asphalt or a mix of new and recycled asphalt. Heat each layer individually. Make sure you remove the heated layer with a rake before the level below it can absorb the heat. Asphalt property percentages matter, as they affect the time it takes to heat the asphalt. Polymer grades, mix designs and the age of the asphalt should all be considered when you plan on using IRR. Avoid exposure to moisture during the heating process. Evaporation will occur, but if one section or layer of asphalt happens to be less porous than another, the water will evaporate more quickly. This can damage the less porous area while others remain wet. Making sure your material is dry will help to ensure a clean, even repair. Wind and ambient temperature also affect heating time and the workability of the materials, so these factors should be considered when timing your IRR project. Shaping your patches is important to create a long-lasting repair. After heating and removing the damaged asphalt, square the edges of the patch and taper them. This will allow for a solid bond between the patch at the existing asphalt. Make sure you mix your new and recycled asphalt together. Whenever you use old and new materials in a repair, it is important to make sure you mix them thoroughly together to produce an even final product. Raking the asphalt into the repaired area will help keep the old material and the new material together. Use rejuvenators for aged asphalt. Old asphalt looks white because the maltenes, or oils in the asphalt cement, were oxidized out of the material as it aged. You can add rejuvenators before heating old (white) asphalt to turn it black. This decreases the time it takes to heat it. Subgrade failures should be fixed, too. Make sure you repair all of the damage, even if it is beneath the surface. Fatigue cracking, also called crocodile cracking because it looks like alligator skin, looks like it was successfully repaired with a surface-only patch, but leaving the damage underneath will only lead to failure below the patch in the future. Use heat shields. State or local regulations can prevent heating near sewers or other drainage systems. A thin aluminum sheet can be used to protect these areas and keep them cool by deflecting the heat. If you follow these basic steps, you will ensure your asphalt damage is restored for years to come. Aegis provides asphalt repair services in Eugene, Springfield, Roseburg and Coos Bay. Contact our expert team to learn more about our services.